The franchise industry has seen tremendous growth in the last several years. The number of franchise establishments continues to increase, the employment growth in the franchise sector continues to increase, and the GDP of the industry has also seen a dramatic rise. With this, competition is at an all time high. This is not only true for franchises trying to draw in consumers but also for franchisors trying to open more establishments. So how are franchises marketing their businesses to separate themselves from all the competition? We aimed to find this out and provide valuable insights to the franchise industry on how other establishments are marketing their business. Over 1,900 franchise professionals and developers across the country were contacted to provide their feedback. As new marketing opportunities continue to pop up with the increase of mobile advertising, social, etc. 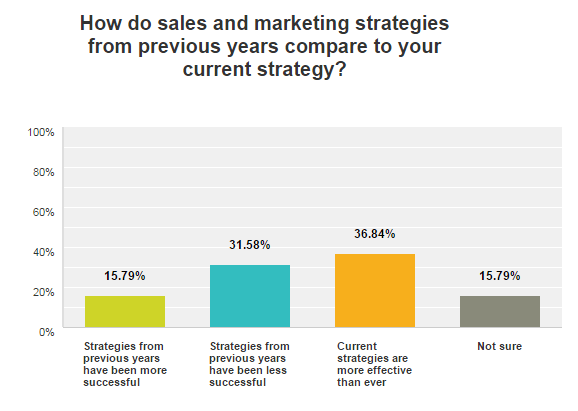 we wanted to find out how the effectiveness of marketing strategies compare to previous years. It’s not surprising to see that current strategies are more effective than ever. In the digital age it is much easier to track data thus allowing for organizations to shift their marketing dollars to the areas that provide the best return. 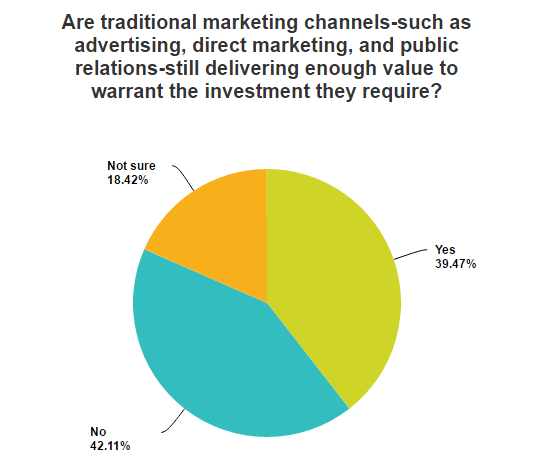 Interestingly enough the respondents felt that more traditional methods of marketing, direct mail, and PR are less valuable nowadays with 42% feeling like they no longer warrant the investment they require. 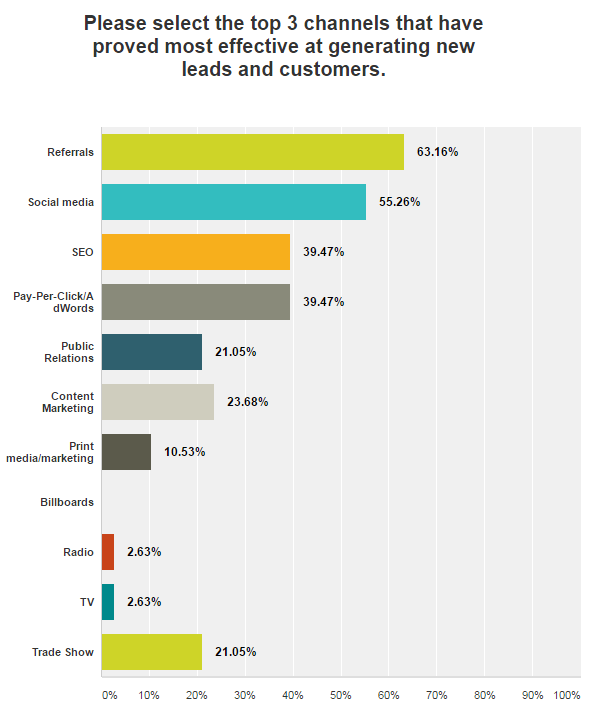 Following the data from the previous statistic, the same holds true when asked what the top 3 marketing channels are that are most effective at generating new business. Not surprisingly referrals topped the list but in a surprise second, Social Media took up 55% of the vote followed by SEO and PPC tied for 3rd. 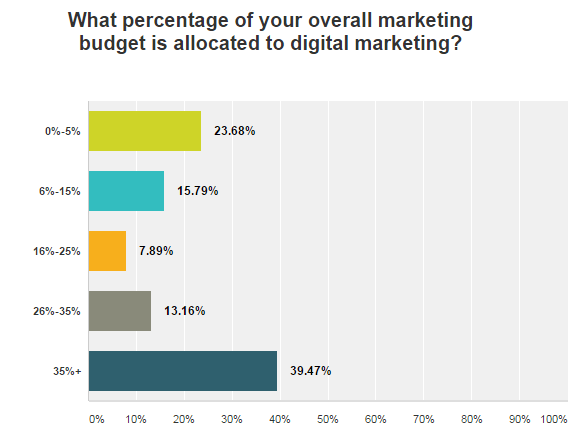 Understanding that digital makes up 4 out of the top 5 channels that are most effective at generating new business, it is not surprising to see that 39.47% of all respondents say that over 35% of their marketing budget is allocated to digital. 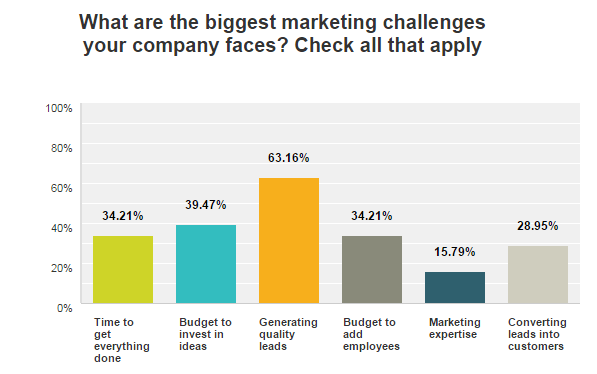 The biggest marketing challenges seem in line with many organizations even outside the franchise industry. How do I generate better quality leads/sales at an effective ROI? I don’t have the budget to invest in new marketing strategies and how do I find the time to get all of our marketing objectives done? Want to See The Full Survey Results? Download the results of the full survey and benchmark yourself against other franchise organizations to find out what marketing tactics and strategies are working best for them.